“The purple Vexillum” is the result of a hard yet gratifying work. Once again, the author’s aim is to narrate an event connecting and dividing Rome and Britain at the same time, and to furnish an objective yet impassionate description of it. The novel starts in 60. A.C., when a violent, major insurrection is shaking Britain, a disturbance gone down in history as “Budicca’s rebellion”. 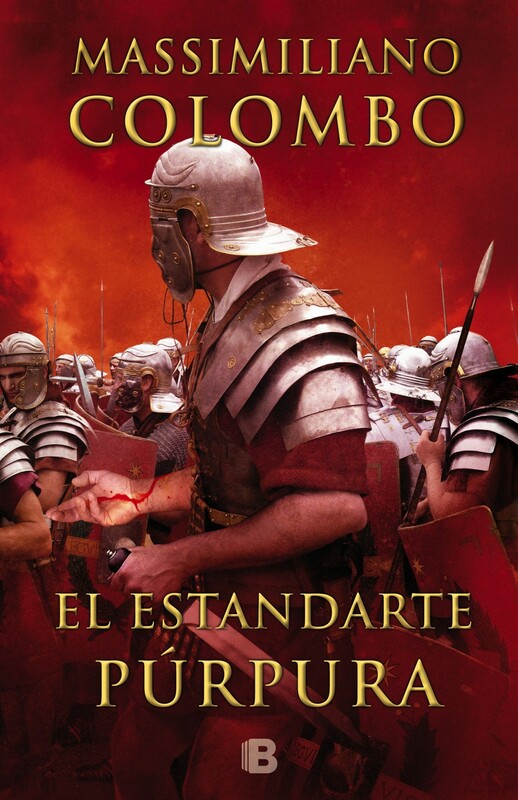 Although he had been discharged, betrayed and hurt, Marco Quintinio Aquila, ex-Centurion of the 20th legion, decides to take action as soon as he finds himself in the middle of this bloody riot. He manages to find his old unit and joins in the battle. Together with his fellow soldiers, he will march till Manduessedum plain, where he will fight against a ten-times-stronger enemy army that had already destroyed three among the biggest provincial cities with unrestrained violence and took its heavy toll. Marco Quintinio Aquila is s Centurion, a soldier, a man accustomed to weapons, command and obedience, and as such he has always charmed the author. This character is not an emblem of victorious strength; on the contrary, he embodies the stubbornness of those people who keep on striving despite their being oppressed by fate. His blood-stained clothes will be run up among the drawn-up soldiers during the final battle against the fierce tribes led by queen Budicca, described both as a hurt mother and a courageous woman, ready to face any adversity. The readers will feel emotionally involved in the violent battle and get more aware of human life’s frailty; last but not least, they will also see how some people and events can enter into collective imagination and become History.